Brinkley High School Senior Joe Cline was one of forty six that made the leadership teams for EAST conference 2016. Joe was chosen for his technical abilities, problem solving skills, and community involvement. Joe will be a part of the technical team at conference. Joe enjoyed a two day retreat at the 4H Center in Little Rock February 17th and 18th. Brinkley High School and Middle School students will attend EAST conference March 15th - 17th. EAST has an estimated nineteen thousand students enrolled in Arkansas. East is now in 6 states. 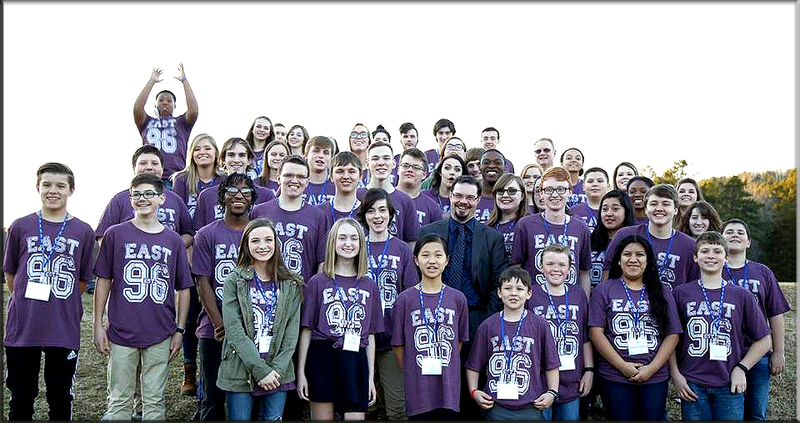 EAST conference allows students to showcase their community involvement throughout the year. EAST will be celebrating twenty years at conference. Brinkley High School will celebrate twenty years in EAST with the start of 2016/2017 school year. Joe Cline is located in the second row the third student.